A theatre professional has been accused of “trans-exclusionary white feminism” and “bullying” after she interrupted a performance. 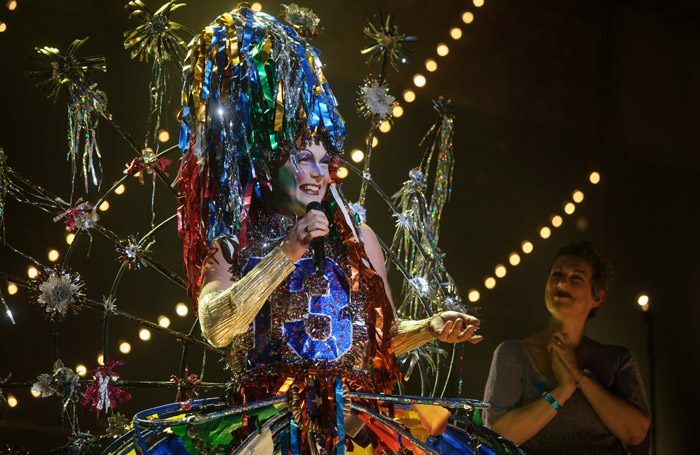 The incident took place during performance artist Taylor Mac’s A 24-Decade History of Popular Music: The First Act at London’s Barbican Theatre on Saturday, June 30. Producer and curator Becky Burchall appeared to own up to the incident after an apology was posted on her Twitter account the following day, attributing the outburst to “too much wine and not enough thought”. The incident prompted a strong reaction on Twitter, with some accusing Burchall of bullying and “showing the absolute height of disrespect”. Latif added that she was still angry about the incident the following day.